Quick Recovery – Only requires numbing of the scalp so there is no downtime. Superior Results – Procedure is completely undetectable within a week. Web Special: Save $250 OFF NEOGRAFT ONE THOUSAND GRAFTS OR MORE!! Why is NeoGraft a better option than other hair transplants? Freedom. FUE hair transplants heal faster and more comfortably than traditional manual methods. There is no scalpel, incision, or staples – so no downtime and no linear scar. It’s ideal for athletes or anyone who wears their hair pulled back or short. NeoGraft is the first FDA approved automated follicular unit harvesting and implantation system. Utilizing the industry’s only “no-touch” implantation technology, hair follicles are individually extracted from the back of the scalp using the automated FUE (Follicular Unit Extraction) method and transplanted to the desired area. More follicles survive the harvesting process, and as a result, men and women experience a much higher success rate than traditional methods. A good candidate for a hair transplant is in good health, has moderate hair loss, and enough hair at the back of the scalp to harvest. The denser and full your donor’s hair is, the fuller your results will be. 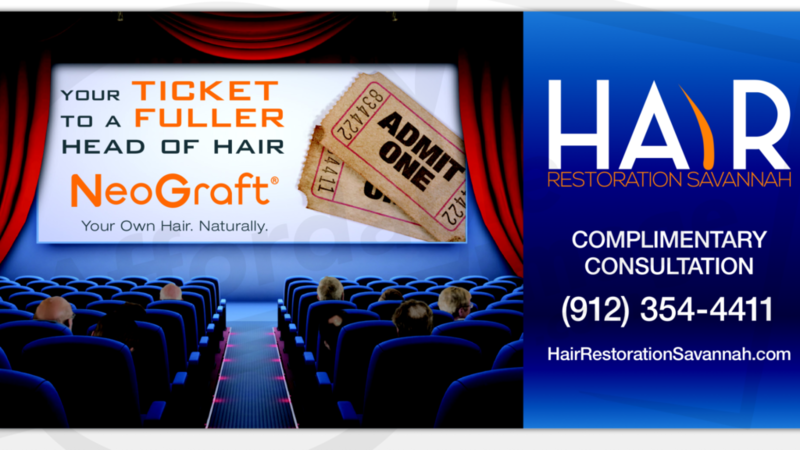 On your first visit, we will discuss your hair restoration goals, realistic expectations, and treatment options. Schedule your initial consultation with Dr. Ronald E. Finger and the Team at Hair Restoration Savannah: Regrow your hair today!